He has a long-standing interest in the impact of fire upon fauna. He has published internationally on the ecology and conservation biology of birds, reptiles, mammals, fish and plants. 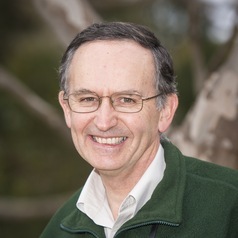 He leads research, along with his colleague Prof Andrew Bennett from Deakin University, into the impact of fire in the mallee, the Box-Ironbark forests, the Central Highlands, and Wilsons Promontory. He also maintains an ongoing research interest in the evolution of cooperative breeding, threatened species and threatening processes. He was the Convener of the Scientific Advisory Committee on the Flora and Fauna Guarantee Act to the Victorian Minister for the Environment for five years. In 2007 he was awarded the DL Serventy Medal by the Royal Australasian Ornithologists Union for his outstanding contribution to the scientific literature in ornithology. In 2010 he appeared as an expert witness in fire ecology at the Victorian Bushfires Royal Commission.